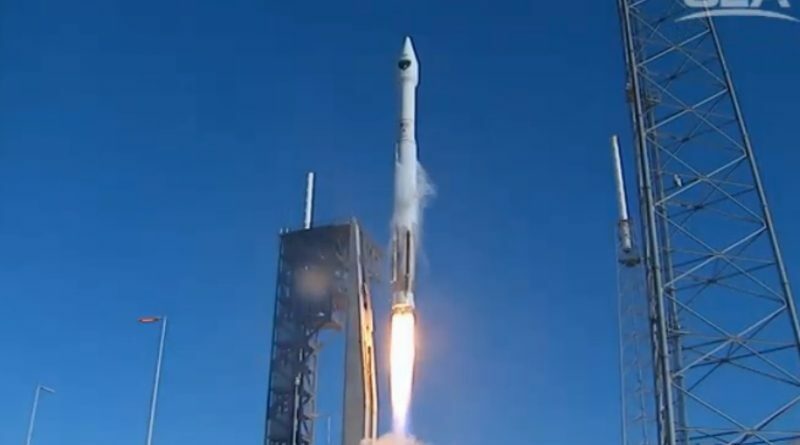 An Atlas V rocket rumbled into the skies over Florida’s Space Coast on Friday, embarking on a long mission to deliver the last GPS Block IIF navigation satellite to Medium Earth Orbit. Marking the completion of the deployment of the GPS IIF satellites, this launch is the last in an aggressive launch campaign that saw eight GPS satellites launching on Atlas and Delta rockets in the last two years to continue the replenishment and modernization of the Global Positioning System. 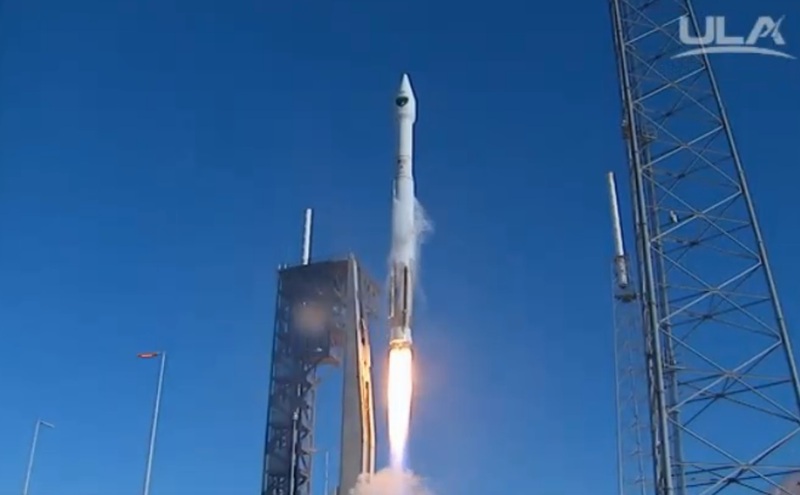 Atlas V blasted off from Space Launch Complex 41 at 13:38 UTC and began heading to the north-east for a flight across the Atlantic Ocean to kick off an ascent mission lasting nearly three and a half hours. The RD-180-powered first stage fired for a little over four minutes followed by a burn close to 13 minutes in duration performed by the Centaur upper stage to lift the stack into an elliptical parking orbit. Next for the vehicle was a coast phase of three hours to enable Centaur to climb to over 20,000 Kilometers for the critical circularization maneuver that will set the stage for spacecraft separation at 17:01 UTC to mark the successful conclusion of the 61st Atlas V flight. GPS IIF12 is the final of the twelve Boeing-built GPS Block IIF satellites to enter orbit, offering additional navigation signals, a higher accuracy, longer operational in-orbit lives and improved security. Each of the satellites has a mass of 1,630 Kilograms and equipped with two high-stability Rubidium clocks and a single Caesium atomic clock to provide accurate navigation signals. The first IIF satellite went into orbit back in 2010. 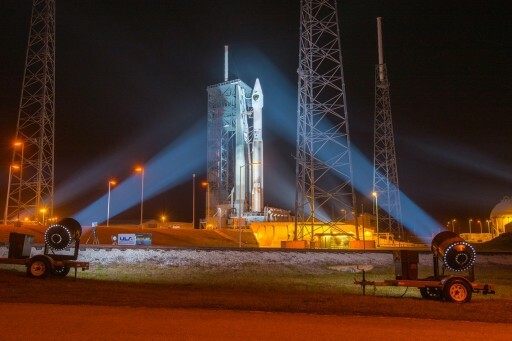 Opening up a busy year for United Launch Alliance with up to 15 flights scheduled in 2016, the launch team had an early morning on Friday, heading into countdown operations at 1:18 a.m. local time, seven hours and 20-minutes prior to the opening of the day’s 19-minute launch window. The first several hours of the countdown were dedicated to the activation of the 58.3-meter tall Atlas V that completed detailed checkouts while teams at the launch pad closed out all systems for liftoff. Resuming after a planned half-hour hold at T-2 hours, the countdown headed into the critical propellant loading operation during which the two stages of the rocket were filled with supercold Liquid Oxygen and Liquid Hydrogen. Rocket Propellant 1 had been loaded into the large first stage after Thursday’s rollout to the launch pad. 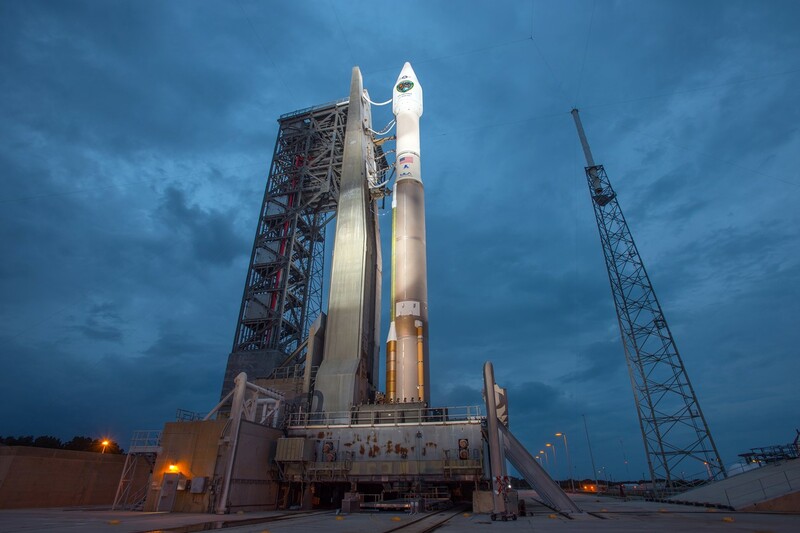 The two-hour propellant loading operation was by the book and Atlas V was well-behaved as the launch team put the rocket through the final checkouts and reconfigurations during the last built-in hold at T-4 minutes. The final poll came up with a unanimous GO for launch as all Stations were in readiness for the mission – including Range Weather that had been the focus throughout the morning as gusty winds had calmed down just in the nick of time to permit a launch. Heading into T-4 minutes, the Atlas V began the last set of critical steps to transition to its autonomous launch configuration. With three seconds on the countdown clock, the Atlas V came to life, igniting its Russian-built RD-180 main engine that quickly soared up to a total thrust of 390 metric-ton-force. 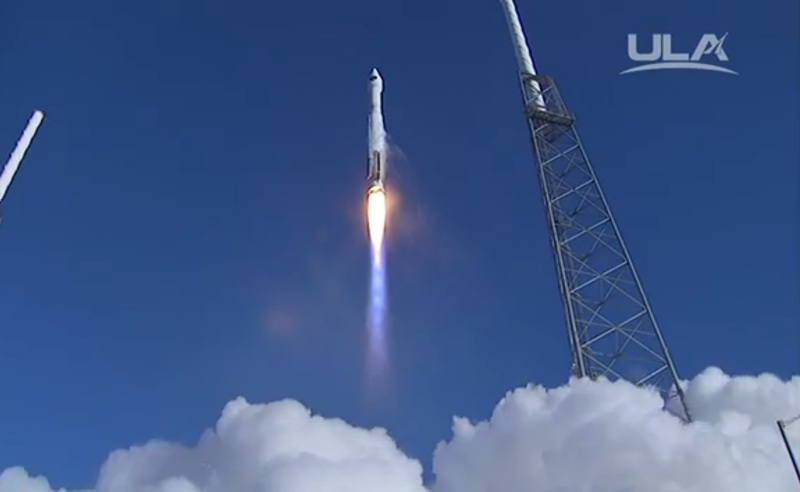 When clocks hit zero at 13:38:00 UTC, Atlas V was released and rose from its launch pad for a short vertical climb. 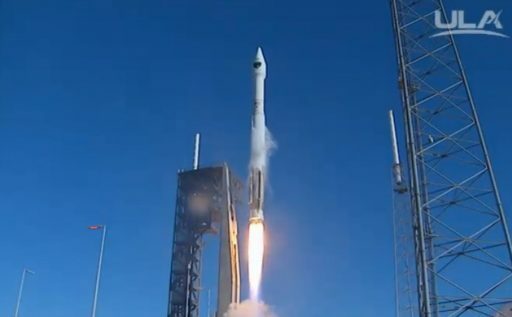 Pitching and rolling onto a precisely planned course, Atlas V began heading north-east, departing the Space Coast on a 45-degree launch azimuth. The Common Core Booster showed a rock solid performance throughout its burn lasting four minutes and four seconds, culminating in a clean shutdown of the two-chamber engine. 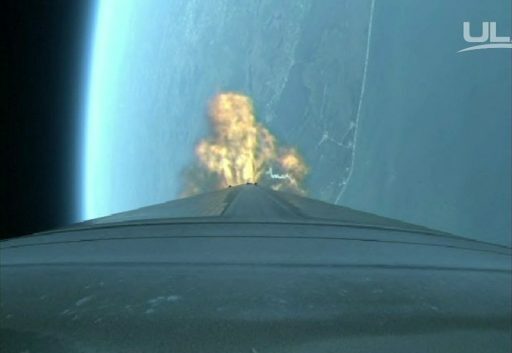 Stage separation occurred five seconds later through the use of pyrotechnics and eight retrorockets that moved the first stage clear of Centaur to enable the upper stage to fire up its RL-10C engine at T+4:19. 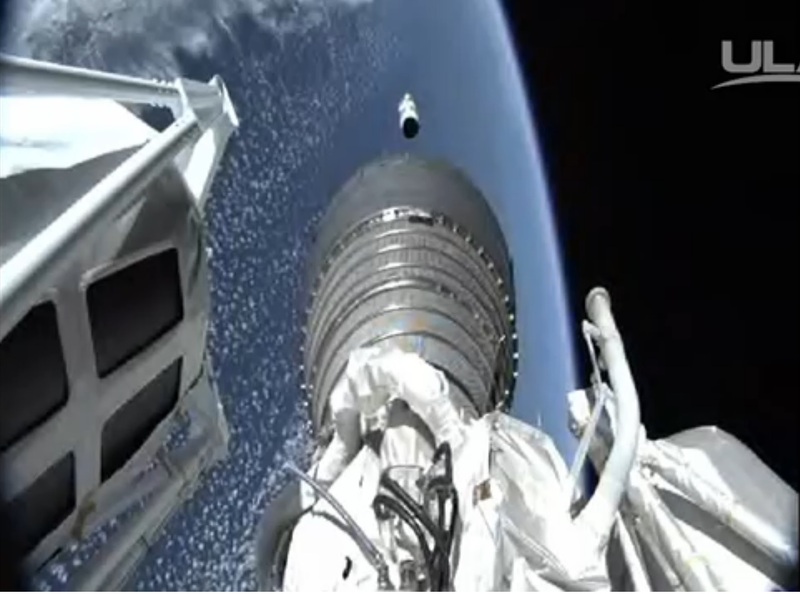 Just over ten seconds into the burn of the Centaur upper stage, the protective payload fairing was separated, exposing the GPS IIF12 satellite for the remainder of its ride into orbit. Centaur fired its engine for a little over 12 and a half minutes, successfully placing the stack in its target transfer orbit with a high point over 20,000 Kilometers in altitude. The successful completion of the first burn marked the start of a coast phase of exactly three-hours to allow Centaur to climb all the way to the apogee of the orbit so that the second burn of the mission could act as circularization maneuver. This coast phase will take the stack across the Atlantic, over the UK, a large portion of Central and Eastern Europe, the Black Sea, the Arabian Peninsula and out over the Indian Ocean to head to a position to the south of Australia for the second burn. The critical re-start of the RL-10C engine is expected three hours and 17 minutes after liftoff for a burn of one minute and 27 seconds to bring up the perigee of the orbit and insert the GPS satellite into a circular orbit at 20,459 Kilometers at an inclination of 55 degrees. Separation of the GPS IIF12 satellite, eventually headed for Slot 1 in Plane F of the constellation, is expected to occur at 17:01 UTC on Friday.